The common jello salad is a dish on its own, its visual appearance makes it the star of the dinner table. But how about serving jello as a side? 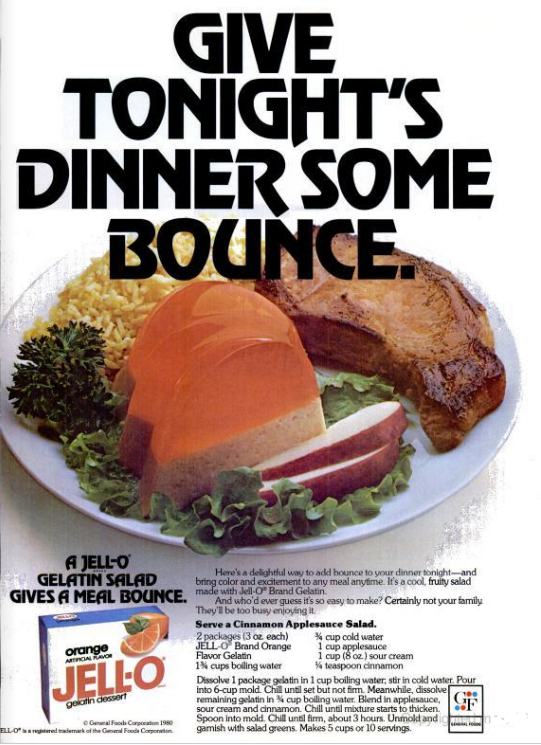 This colourful mix of orange jello and congealed creamed applesauce is just perfect to go with your steak dinner. And why not put in on top to melt like herb butter?